The Challenger Hellcat is the most "affordable" way to have a new car with 707 horsepower in your driveway. But Dodge doesn't want another Viper debacle, so the brand is being very selective on how dealers are getting their Hellcats, including a plan to discourage markups. 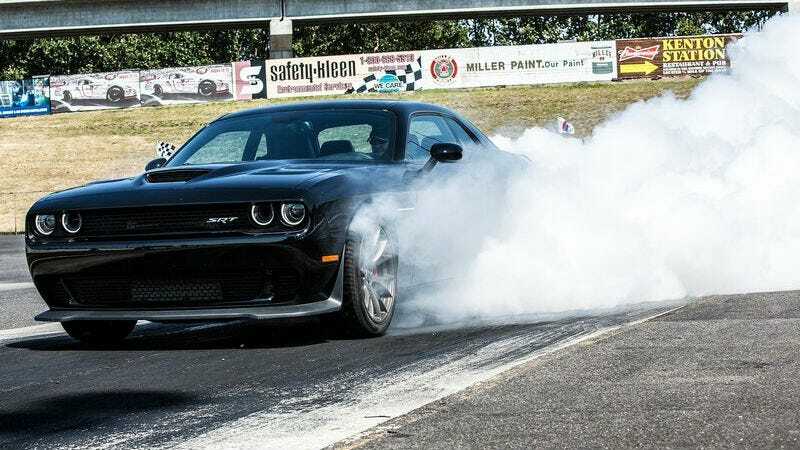 According to Automotive News, Dodge dealers can begin ordering Hellcats, but how many each dealer will get in the initial allotment will be based on the number of other Dodges sold within the last 180 days. CEO Tim Kuniskis says he will reward dealers that are pushing products, this means everything from Darts, Journeys, and even Vipers. Determining how many limited edition cars go to a dealer based on sales volume is fairly standard practice. However, Dodge wants to avoid the dealer markups that are bound to happen on such a low-volume vehicle. Therefore, the second allotment of Hellcats will be partially determined by how fast the dealers sell the first bunch. "If you want to market-adjust the car, that's your right. But if your days-on-lot goes above what the other guys that are selling them at MSRP is, they will end up earning the allocation because their days-on-lot will be lower. They're turning the inventory," Kuniskis said. "Some dealers are going to have heartburn with that." The longer a Hellcat sits without being sold — as it might if it were to have a $10,000 or $20,000 market adjustment on it — relative to those on other dealer lots, the fewer future Hellcat vehicles a dealer will receive, the Dodge brand boss explained. So basically if a dealership wants to sell more Hellcats, they need to sell them quickly in order to get more on the lots. Dodge knows this is a car that will bring people into the showrooms and even if those buyers don't take home a Hellcat, they may drive off with a Charger, a Dart or any other Dodge product. Kuniskis said Dodge "worked hard" to price the Challenger SRT Hellcat at what he called an attainable $60,990, including shipping, "but that all goes out the window if this car ends up with $20,000 market adjustments on it." Whenever we post about a "stealership" story, I frequently get comments asking why the manufactures don't do more to prevent dealerships from acting this way. It seems that Dodge has learned from the mistakes regarding Viper sales, and wants to be sure that the Hellcat remains accessible for enthusiasts.